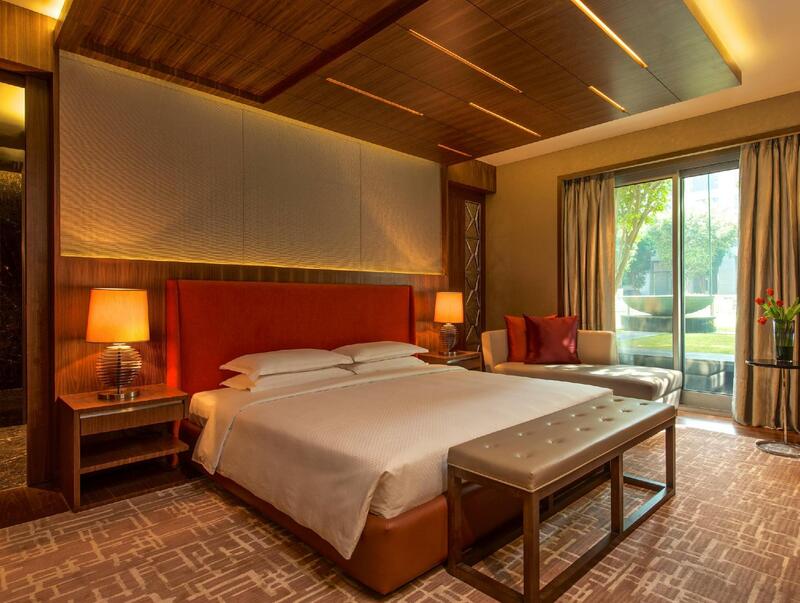 Have a question for Grand Hyatt Mumbai? "The rooms are superb ." "Nice hotel with good services"
"The staff are very attentive and aim to satisfy the guests." 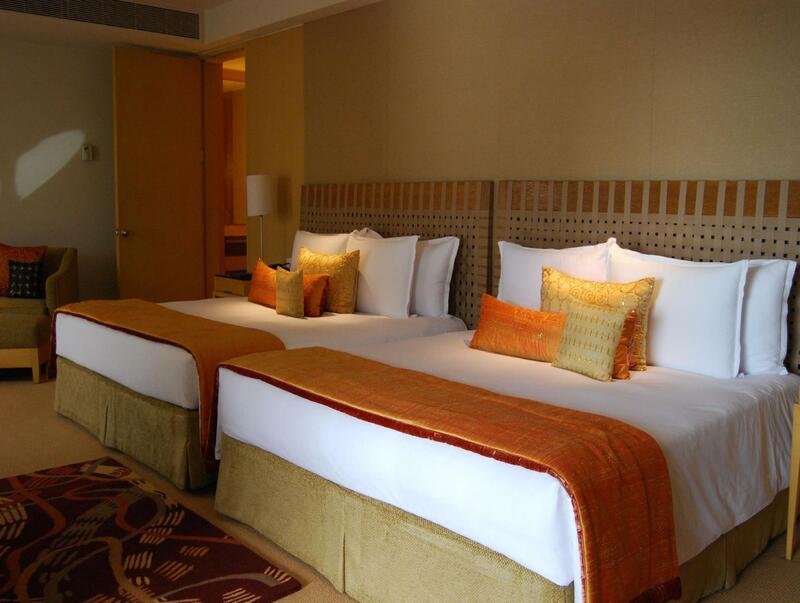 Designed as a multi-dimensional lifestyle complex, this city center hotel is a top choice for travelers to Mumbai. The business district of the Bandra-Kurla Complex, home to numerous financial institutions, and the commercial hub of Worli are both close to Grand Hyatt Mumbai. For the leisure traveler, the concierge can help arrange for transportation as well as tours to popular attractions such as the Gateway of India and the Elephanta Caves. With something to offer for everyone, the hotel is home to five exciting dining venues, a gourmet store, seven meeting rooms, Club Oasis Spa, and a shopping plaza. 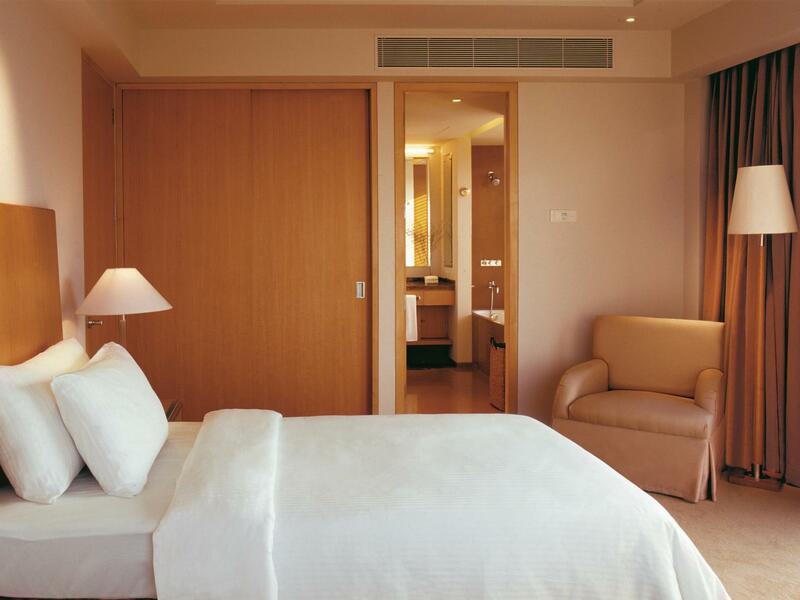 Grand Hyatt Mumbai promises to provide comfort, convenience, and impeccable service. We are very much happy with our room, the facilities, the services and it is beyond our expectation. Plus the restaurants and shopping plaza are really nice and affordable. We will surely recommend this hotel to our friends and relatives. Thank you for the nice experience with Grand Hyatt Hotel including it's staff. This was my second visit to this hotel after more than 4 years and I must that the standards have remained same; perfect! Keep it up and many thanks to Atib and his team on the reception. Warm welcome by staff. Even granted me a room before checking time.....very considerate. Pleasant stay. Have stayed here many times before and enjoyed the same comfort and warmth....consistent good service. Highly recommend. Room and wi fix excellent. Thx. The hotel still provides comfort and an excellent dining venue. While it caters to both celebrations as well as business travellers, the hotel should try to separate the two groups as party goers can be very noisy in the corridor at 10pm at night. Business travellers who need sleep should be put in a quieter section. It was a pleasant and warm reception.The checkin staff member Jeetesh was very pleasant and polite and i felt at ease immediately. Assistance was rendered with my baggage etc....the porter was dignified and courteous and humble. I enjoyed the room,the wi.fi worked well and overall i had an excellent stay. Shall be back.Thanks everyone. The room was super excellent, stayed in many five stars till date, including other hayatt, by far this was the best. Staff performance was excellent. they even waive off the charges for minibar. Room was quite and luxurious. Bathroom was very big, and fast internet. hotel is located in a quite area near the airport and university of mumbai. plenty of ATMs and shops inside the complex. for those who are looking for value deals, you need to go out the hotel, just book ola cabs, and go anywhere you want. This was the second time I stayed at the Grand Hyatt and generally enjoyed it. I've stayed at the Oberoi in Nariman, at the Taj Lands End in Bandra, Four Seasons in Worli, and Sofitel and Trident in BKC so I write this review relative to these other experiences. First, the bad: 1) In terms of location, this hotel generally has fewer things to offer around the vicinity. It is close to the airport but other than that, it's rather far from Andherri (if that's your point of interest) and it is quite a bit of a drive if you want to go to Bandra area and it will surely take you an hour (on a weekend!) to get down to Worli area so really, be prepared to spend some time in Mumbai traffic! 2) The hotel condition: the rooms are actually well-maintained (more on this later) but the general appearance of the hotel seems it's getting worn down. Facade paint is peeling of massively. But not that it matters when your indoors anyway. Second, the good: 1) Dining options: the restaurant has quite a bit of an array of dining options from Indian, to Italian to Asian. Taste is over all good but definitely on the pricey side. Imagine, Gulab Jamun for almost Rs600! That should give you an idea of food prices at the hotel. If you're staying in the Club Floors, you get beverages (at least coffee) throughout the day and the coctail spread is quite good too. 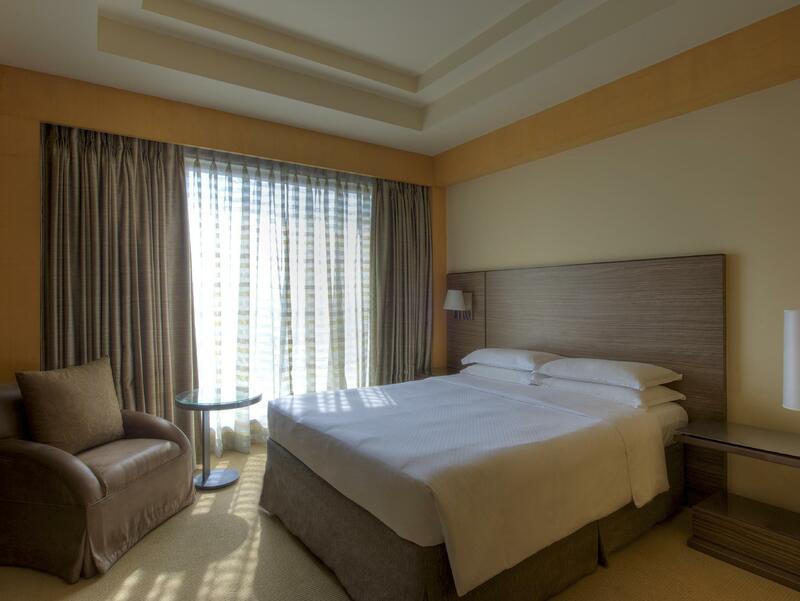 2) Rooms: Generally spacious relative to other hotels in the same category. Clean, well-kept and there's not much to complain about. Of course, it's not WOW but it's good. Extremely late room service and that too incomplete and when confronted the incompetent staff he didn’t care. Shocking attitude! Not at all happy ..
restaurant is good enough. room is nice. Sending email for asking airport pickup though Agoda, not getting any response and at the end I have to take the taxi at the midnight. Customer service was very good. Staff were plentiful and very attentive. Food in the China House restaurants was loaded with oil so i asked them to change it, then the other dish was too salty, so I lost my appetite.... I would compare the costs there to the same costs over here in the U.K, only the standards were lower. The hotel had too many Mosquitos in the lobby area, but they did have pest control zapping them. The room is spacious, with long bath and standing shower, comfortable bed. Location is about 20 minutes from domestic airport terminal 1. The staff needs more training i guess as they did not explain to us about the breakfast venue and facilities, being a 5 star hotel we will expect professional staff at least friendly and helpful especially the front liner. There are 2 restaurants serving breakfast (1 restaurant serve indian food (poor spread) and another restaurant serving international buffet). The fitness facilities are good, with sauna and steam bath. Excellent rooms and hotel security but the only downside was the taxes and service charges added to every bill they were extremely high. The range of food on offer was fantastic and catered for all tastes. We took advantage of the pools, free spa, sauna and jacuzzi. There's also free entry to the gym. Housekeeping did a wonderful job everyday. We upgraded to the executive package which includes breakfast and unlimited drinks between 6-8pm- the range of food provided was extensive and it was delicious. It's about 10 mins away from international airport so it was quite far to get to a few sightseeing places - including the Indian gate. Since my partner and I were on a budget we took tuk tuks and taxis outside the hotel as it was cheaper! Anyway it was a great stay.